Tanya Kotnala likes to draw eyes. Big, doll eyes that gaze with dagger points straight into your soul. 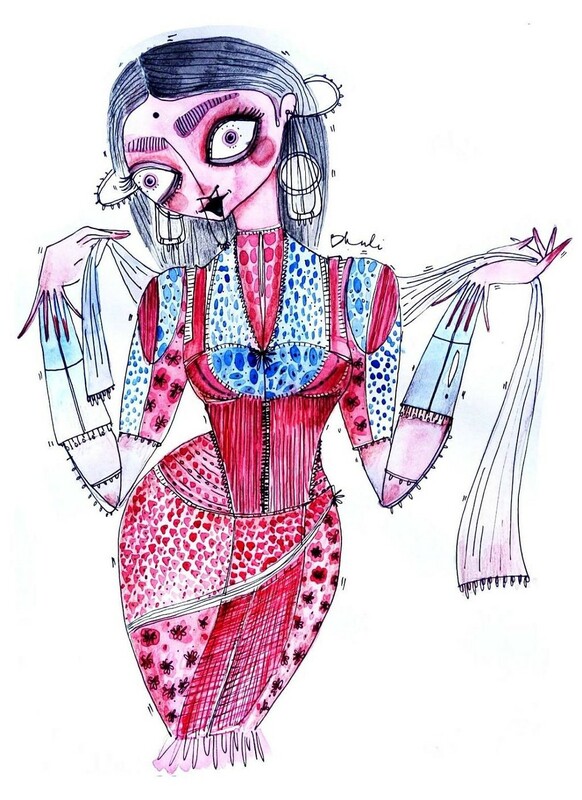 Her illustrations resemble eerie fashion sketches or tribal painting for an underground population. 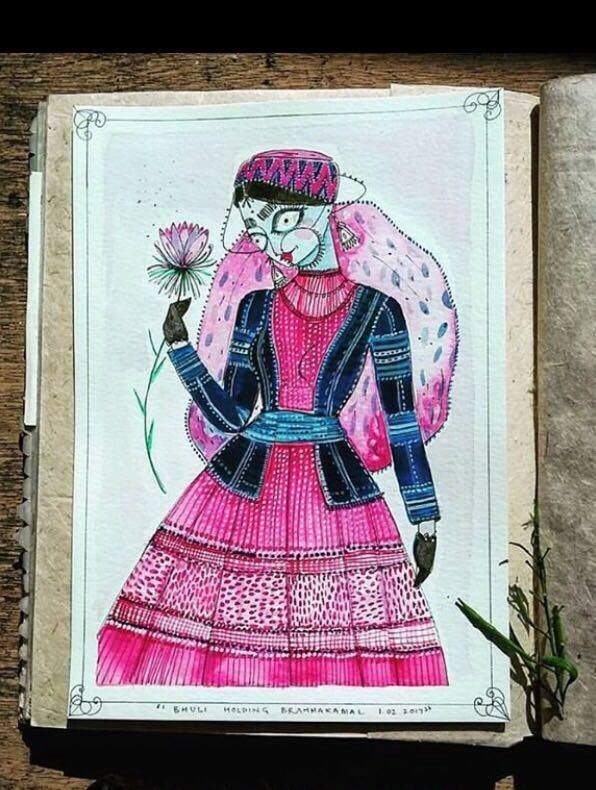 She draws under the name Bhuli, meaning “Little Sister” in the native Grahwali dialect from Uttarakhand. Kajal sat down with her to discuss her inspirations and her work. Kajal: Your art is unique. I’ve never seen anything like it — it’s so distinct. Where would you say it comes from? Tanya: I’ve been fascinated by the arts and crafts culture of India since as long as I can remember! 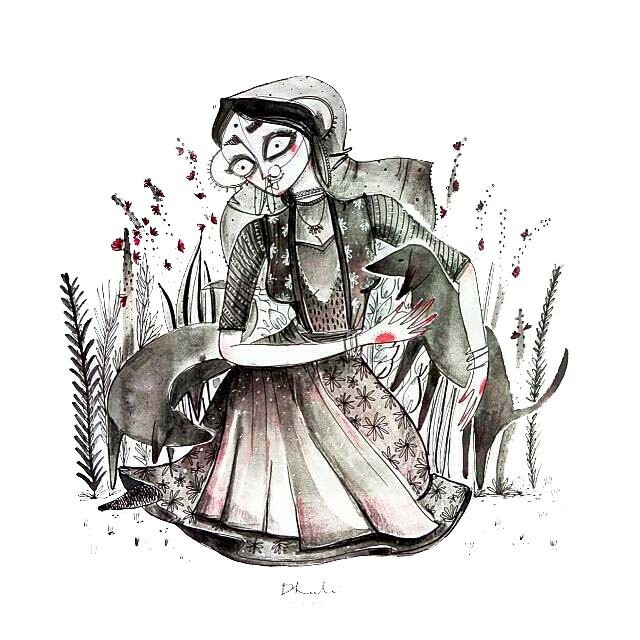 Bhuli’s illustrations are greatly inspired by the local cultures, I happen to interact with while conducting crafts projects across India…I draw to celebrate the Indian arts and crafts culture, local folklore and traditions. 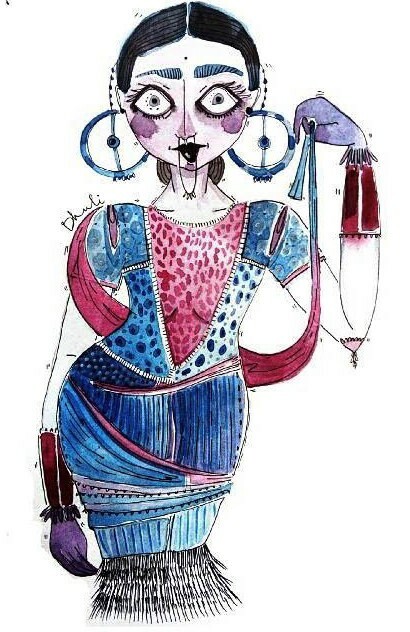 My latest product was a calendar that was inspired by the costume culture of various Indian states. [It is a] way of sharing my vision of a beautiful India with the world. It has a very Tim Burton-esque feel to it. Who or what are your inspirations? Haha! I get that a lot! 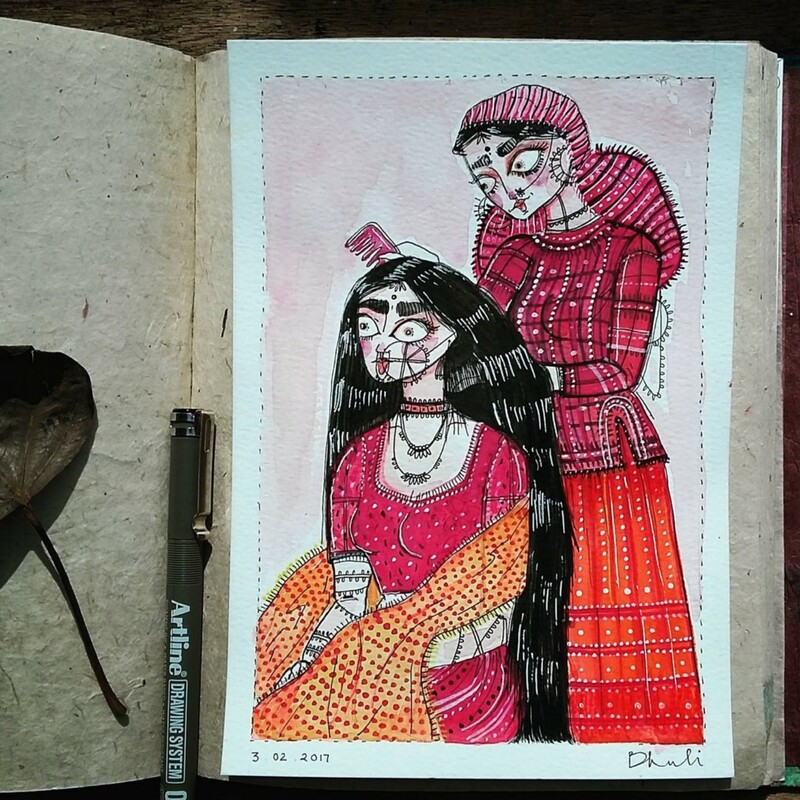 But my personal style has evolved while studying various traditional Indian art styles like Madhubani of Bihar, Tanjore of the South, and various other traditional art schools. When did all of this start for you? When were you like “this is what I want to do”? Art comes naturally to me, [and I] have been drawing since I was two years old! Initially my mother would make me draw on letters addressed to my grandparents and I enjoyed it thoroughly. Later on I went to a fashion school at the National Institute Of Fashion Design, where my perspective about design got straightened out! My favorite drawing medium is the classic paper-pen. I am an avid sketcher. I religiously maintain sketchbooks, not a day goes by without drawing! You can find Bhuli on Facebook and Instagram.